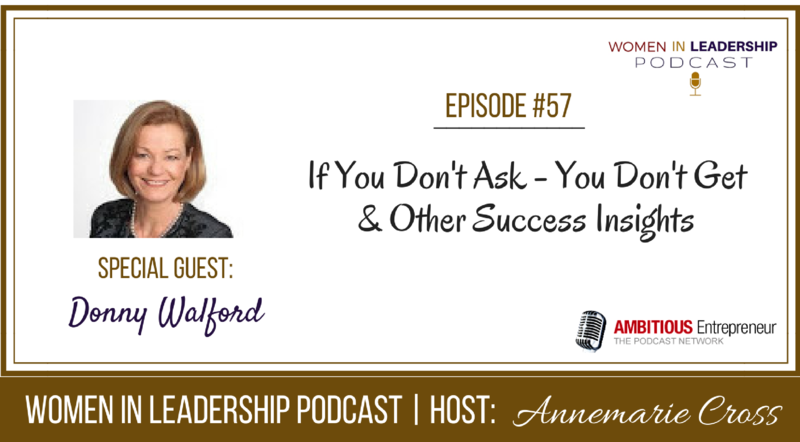 Welcome to Episode 57 of Women In Leadership Podcast. In this episode I speak with Donny Walford about the importance of getting rid of the ‘cringe factor' and asking for what you want. After all, if you don't ask – you don't get. Listen to Donny share more success insights on this episode of Women In Leadership Podcast.